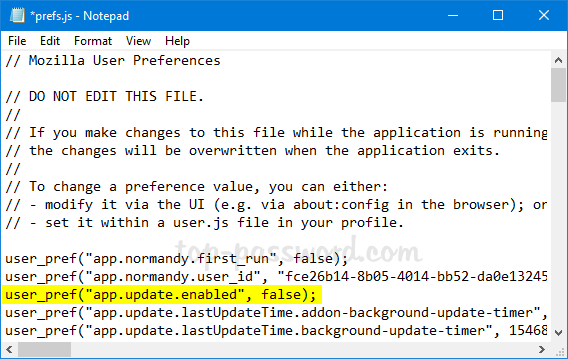 How can I disable automatic updates in Firefox Quantum? It could be frustrating for Firefox to push the update notifications and interrupt what you’re reading. 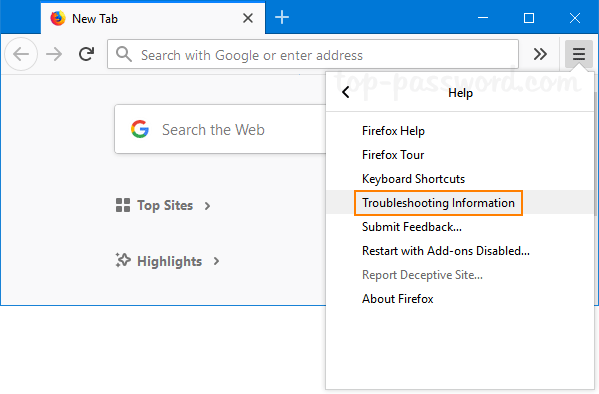 Starting with Firefox version 63, Mozilla has removed the ability to disable updates completely. When you click on the Menu button at the top right corner and select Options. 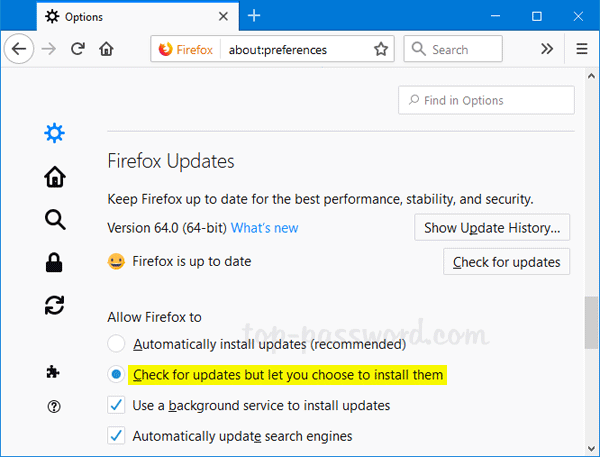 Scroll down to the Firefox Updates section, you’re left with two options: Automatically install updates, Check for updates but let you choose to install them. The option “Never check for updates” is no longer available. 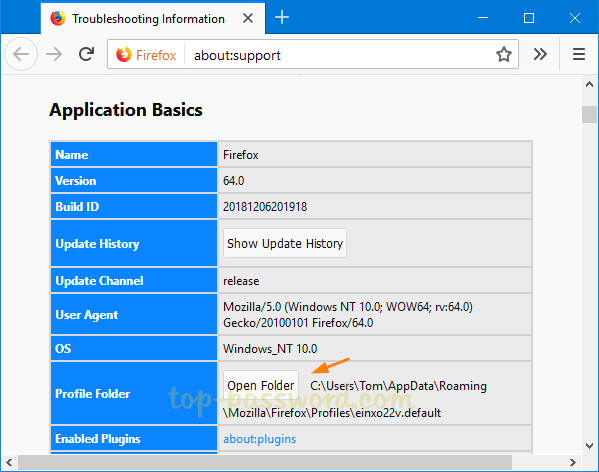 If you don’t like Firefox frequently installing the updates, here is a simple way to prevent Firefox Quantum from updating the version automatically in Windows 10 / 8 / 7. 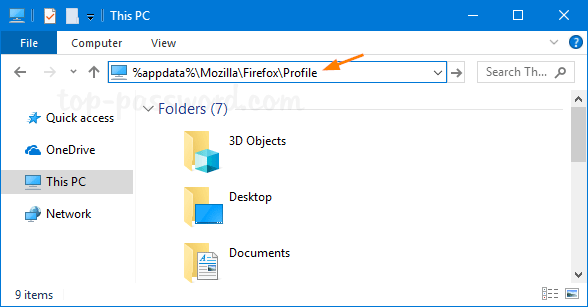 Open Windows Explorer and type %appdata%\Mozilla\Firefox\Profile in the address bar and press Enter. 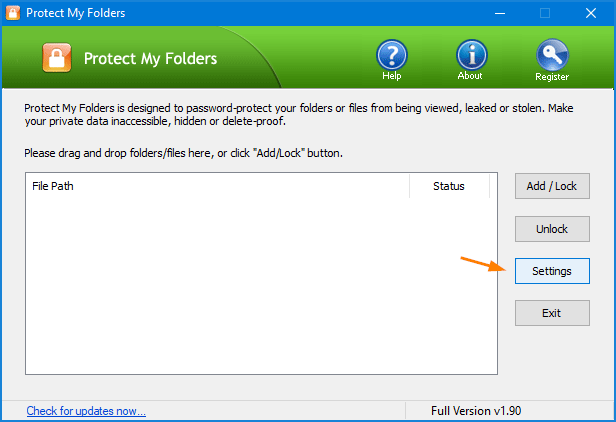 The name of your default profile folder should start with eight random characters and end with .default. 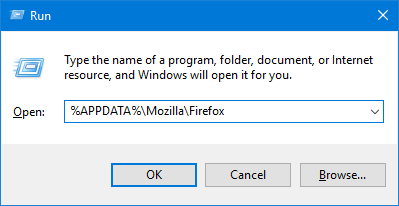 Just open the Firefox profile folder, then right-click on the prefs.js file and select Edit. Add the following line to the file and save your changes. Now, Firefox Quantum should never download and install updates automatically. 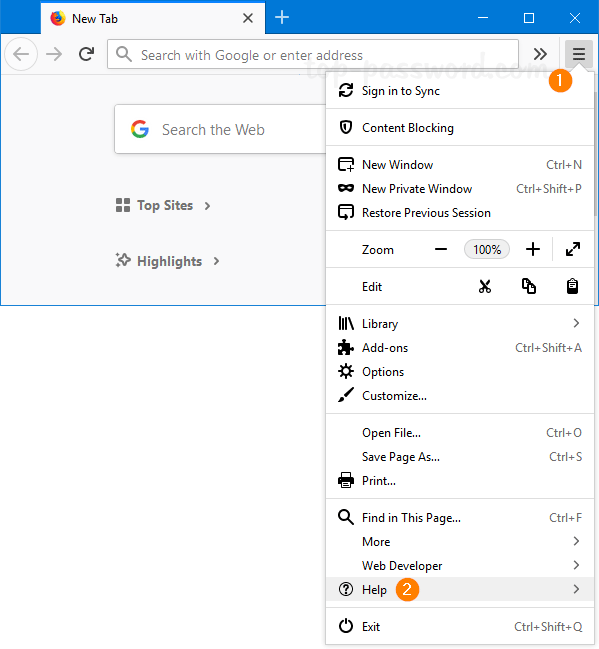 Open up Firefox and click on the Menu button in the upper right hand corner, and then select Help from the drop-down menu. You can see the exact version number of Firefox you’re running. 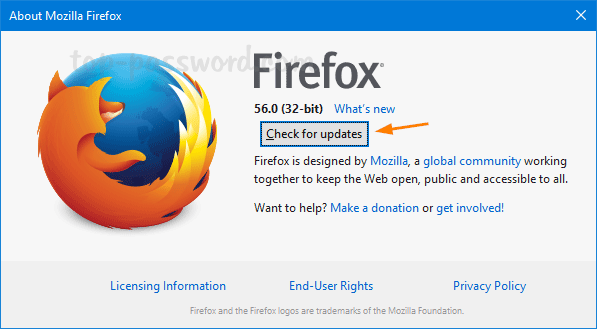 If a new version of Firefox is available, you can click on the “Check for updates” button to download and install it. How can I switch to the desktop without closing all opened windows? You can use the Windows key + D shortcut to minimize all open windows at once to view the desktop. 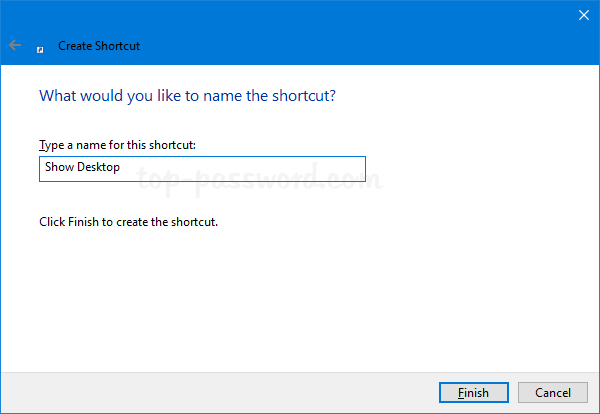 If you want to get to the desktop with a single click instead of keyboard shortcut, you can add a “Show Desktop” shortcut icon to the taskbar in Windows 10 / 8 / 7. 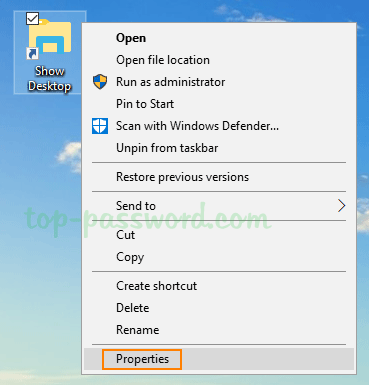 How to Add “Show Desktop” Shortcut to Taskbar in Windows? 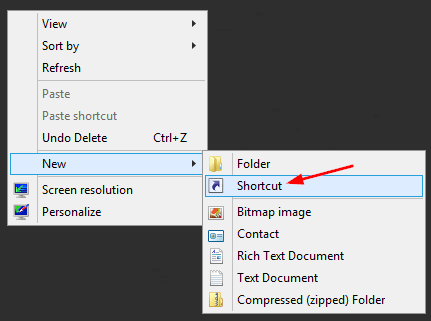 Right-click an empty area on your desktop and select New -> Shortcut. Paste the following into the location box and click Next. Name this shortcut something meaningful, and click Finish. The icon of your created shortcut should appear on the desktop. Right-click it and select Properties. Under the Shortcut tab, click the Change Icon button at the bottom. Select the icon highlighted in blue, and click OK.
Now, right-click on the “Show Desktop” shortcut on your desktop, and you can pin it to the taskbar or pin it to the Start Menu as a tile. 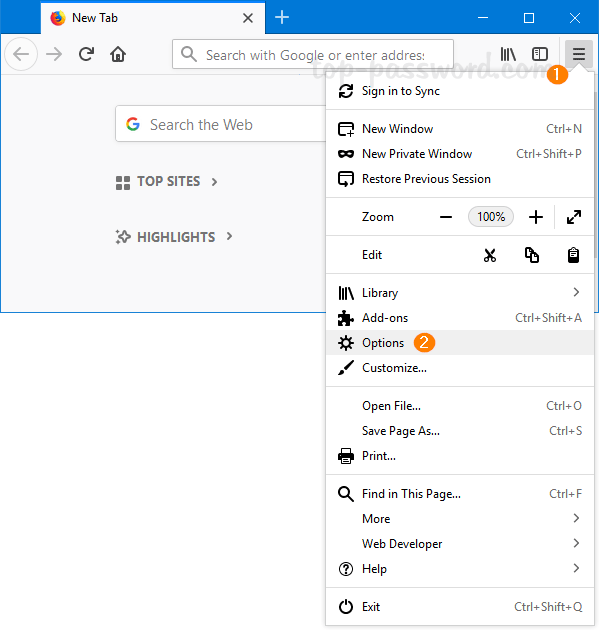 Every time you need to switch to the desktop, just click the “Show Desktop” icon in the taskbar and it will hide all your open windows without closing. How can I determine if my computer has TPM available? 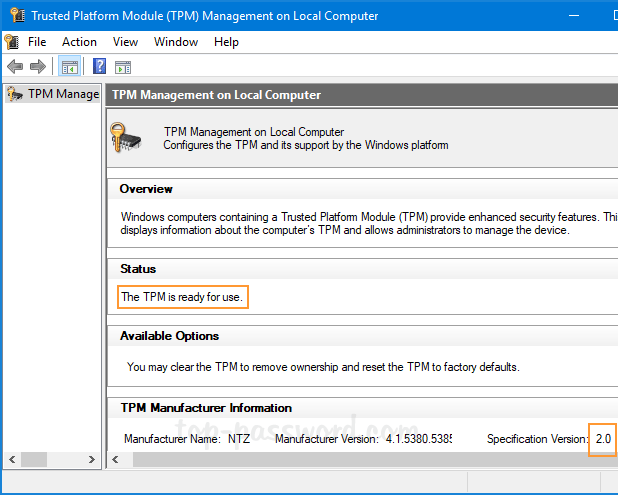 Need to check if the TPM on a Windows machine is enabled or activated? TPM (Trusted Platform Module) is a security chip that is soldered to the motherboard on most new PCs. It provides a hardware-based approach to store cryptographic keys and ensure it is tamper-free. 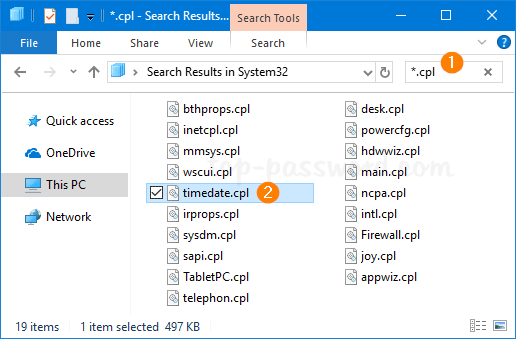 In this tutorial we’ll show you 4 ways to find out if your Windows PC has a TPM chip, and check out TPM version and status. Press Windows + R to open the Run dialog window. Type tpm.msc into it and press Enter. 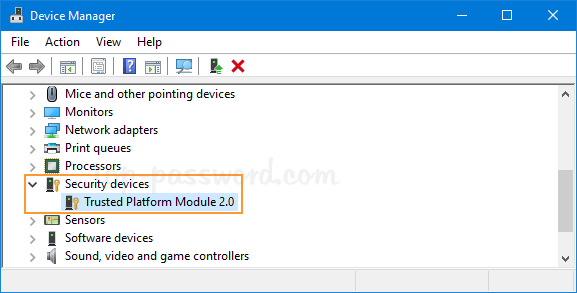 This opens the built-in utility – Trusted Platform Module (TPM) Management. If TPM is installed, you can see the manufacturer information about the TPM in the PC. In my case, the TPM version is 2.0. 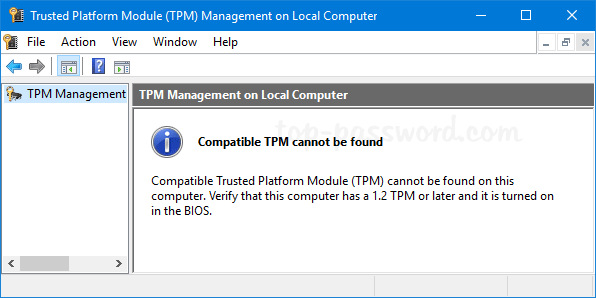 If you see a “Compatible TPM cannot be found” message instead, your computer does not have a TPM or it’s turned off in the BIOS/UEFI. Open the Device Manager and look for a node called “Security devices“. Expand it and see if it has a “Trusted Platform Module” listed. This will let you view the current status of the TPM chip: activated or enabled. 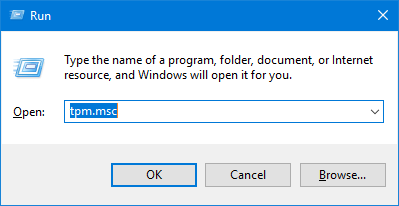 If there is no TPM installed on your computer, you’ll get the message “No Instance(s) Available“. 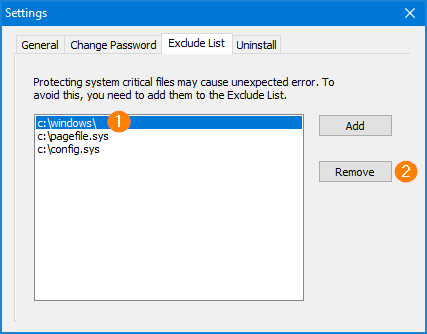 If you’re unable to find any TPM on your PC using the above methods, it’s possible that the TPM is disabled in the UEFI/BIOS firmware. To check for this, restart your PC into the UEFI / BIOS screen. Navigate to the Security tab or the Advanced tab, look for a setting called “TPM Support“, “Security Chip“, “TPM Security” or something like that. Make sure it’s enabled. If there is no such setting, your computer probably doesn’t have TPM chip. 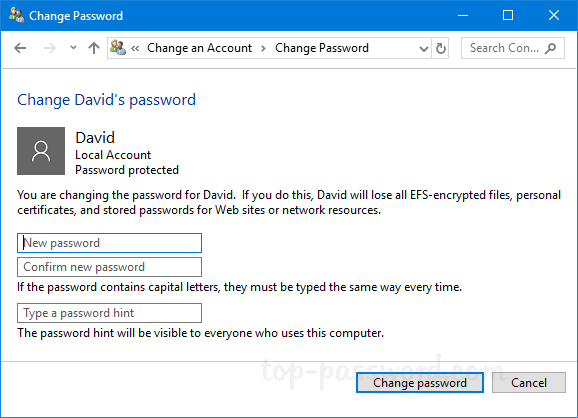 How can I change other user password without logging in as that user? 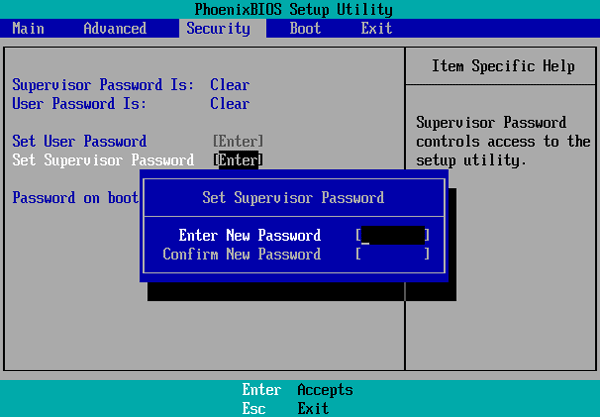 Provided you are the administrator, you have many ways to reset any Windows user password. If you try to change another user’s password from a standard account, you may receive the “access denied” error message. 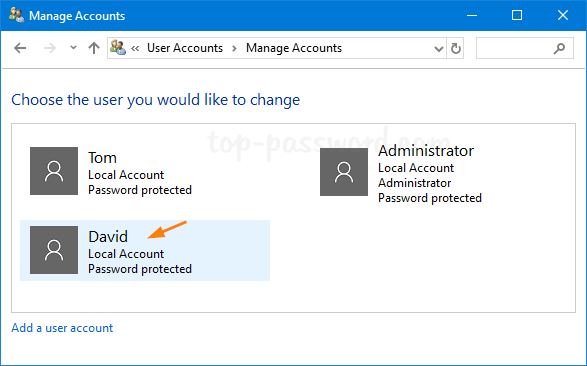 Here we’re going to show you several ways to change another user’s password from standard account in Windows 10 / 8 / 7. Privilege elevation is required for this task. 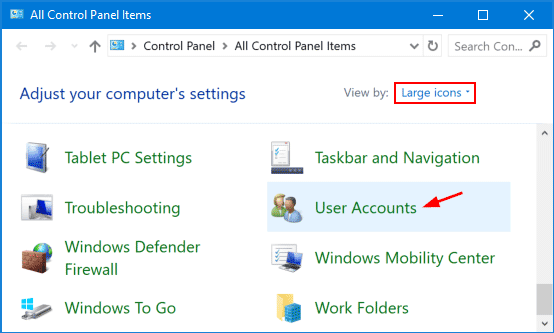 Open the Control Panel in Large icons view, and click on User Accounts. Click on the Manage another account link as shown in the image below. 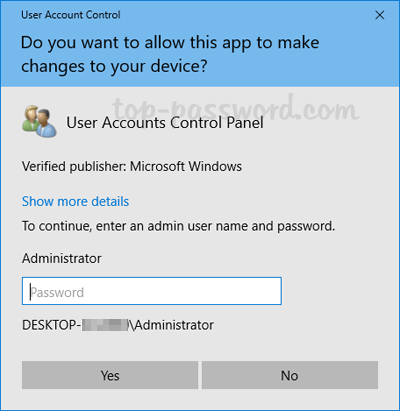 If you’re logged on as a standard account, a UAC prompt will ask you for the administrator password in order to gain elevated privileges. Select another user that you want to change password for. Click the “Change the password” option. Type new password and confirm it, then click on the “Change password” button on the lower right hand side. Click on Start, and begin typing “cmd“. You’ll see the Command Prompt appear at the top of the search results. Right-click on it and select “Run as administrator“. In the UAC elevation prompt, enter your administrator password and click Yes. In order to change another user’s password, type net user user_name * and press Enter. It will ask you to type a new password twice. For security purpose, the new password you typed won’t appear on the screen. 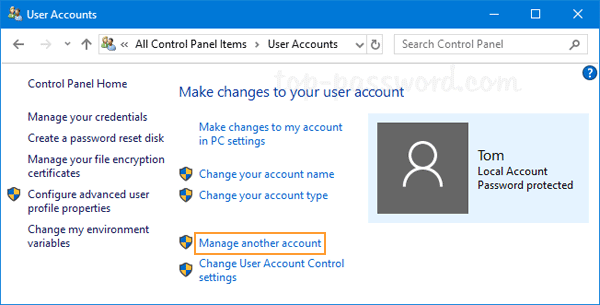 If you’re still unable to change another user’s password, follow our tips for promoting your standard account to administrator in Windows 10 / 8 / 7. That’s it! 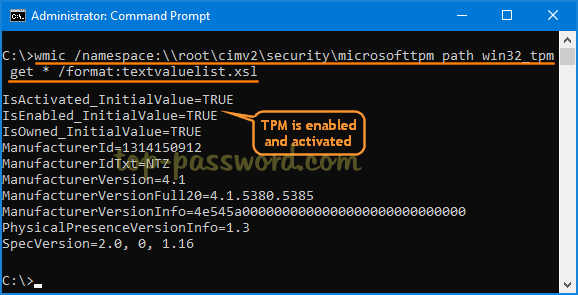 Is it possible to run an elevated Command Prompt from standard account? 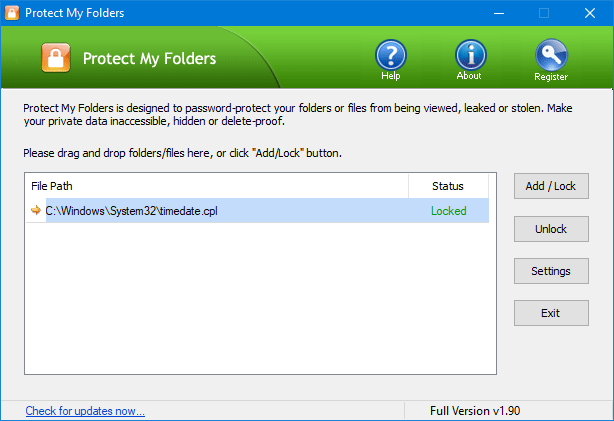 Though Standard account has limited privileges as opposed to administrator account, most people still like to use it for everyday computer use in order to lower the risk of being infected with malware. When an administrative task needs to be performed, they would do it from an elevated Command Prompt. 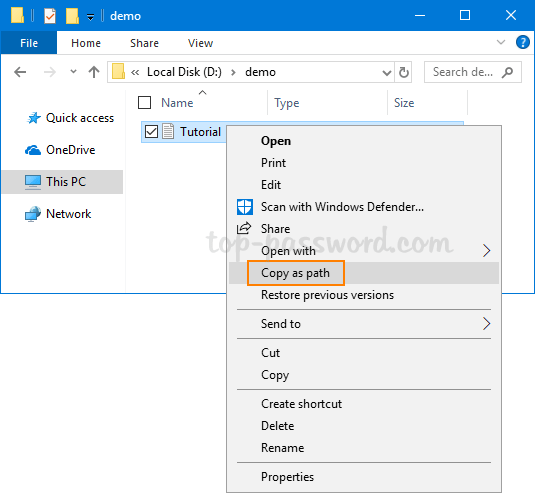 In this tutorial we’ll show you different ways to open elevated Command Prompt from standard user in Windows 10 / 8 / 7. 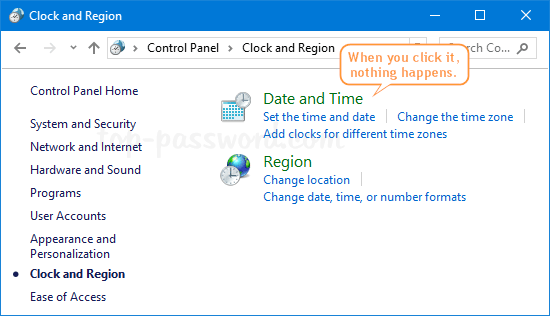 Use the Windows key + R keyboard combination to open the Run dialog box. Type the following and press Enter. 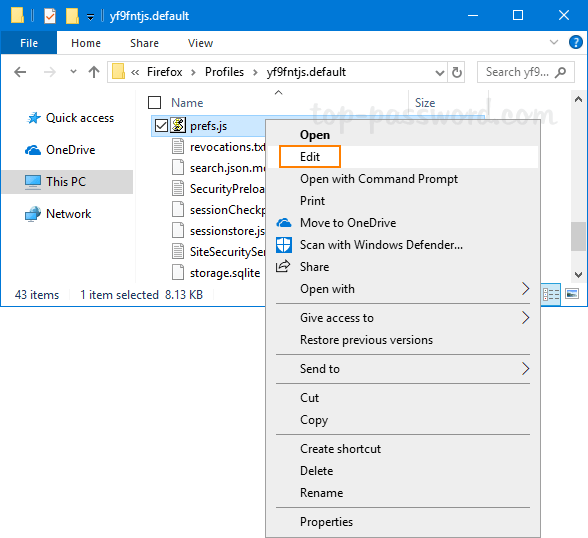 Or run the above command in a Command Prompt window that has already been opened with normal privileges. 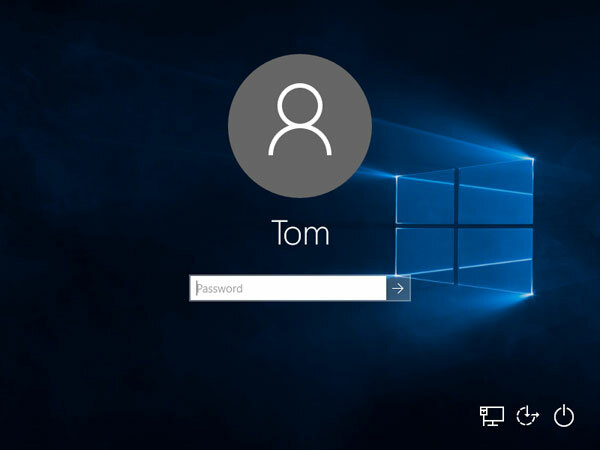 A pop-up window will appear asking to enter your administrator password. Once you’ve entered the correct password and click Yes. It will run an elevated Command Prompt immediately. 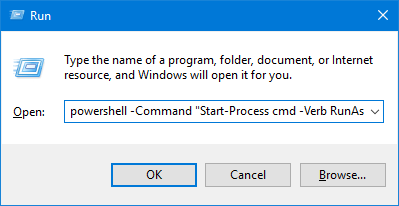 In addition, the command “runas /user:Administrator cmd” can also let you run Command Prompt using an administrator profile, but note that the cmd is still running without elevated privileges. Click on the Start button and then type “cmd” in the search box that appears. 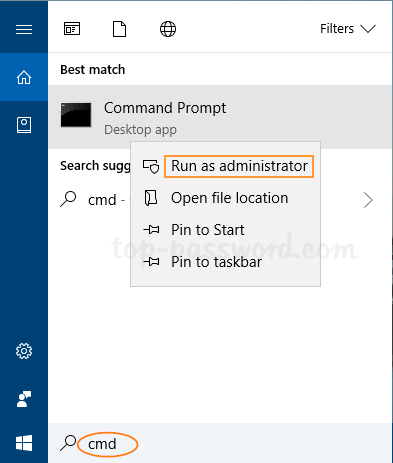 Right-click on the Command Prompt in the result and select “Run as administrator“. 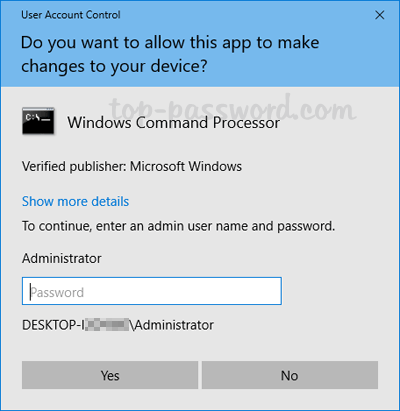 You will see a UAC pop-up window asking you to type the administrator password before opening up the elevated Command Prompt. Click on the Start button. In the Start Menu, scroll down to the “Windows System” folder and expand it. There you can right-click on the Command Prompt shortcut, and select More -> Run as administrator. 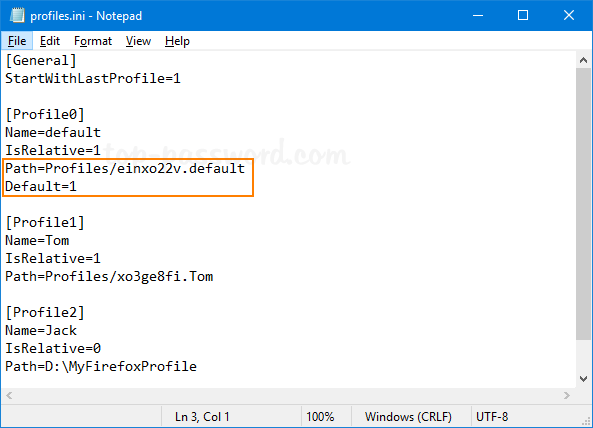 These are all the methods we know of running elevated Command Prompt from standard user. 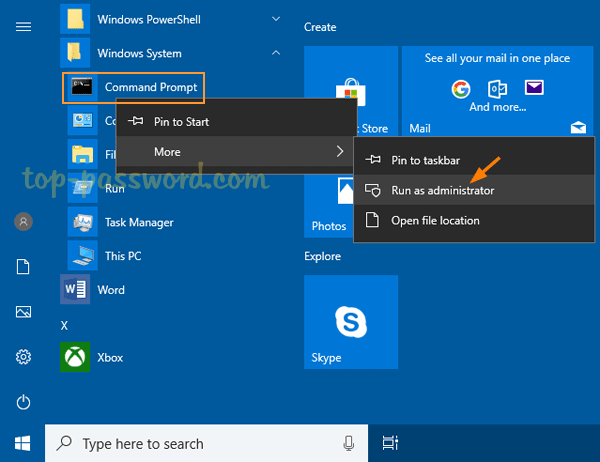 If you need to access elevated Command Prompt frequently, it’s a good idea to pin the Administrator Command Prompt to the Windows taskbar. That’s it! 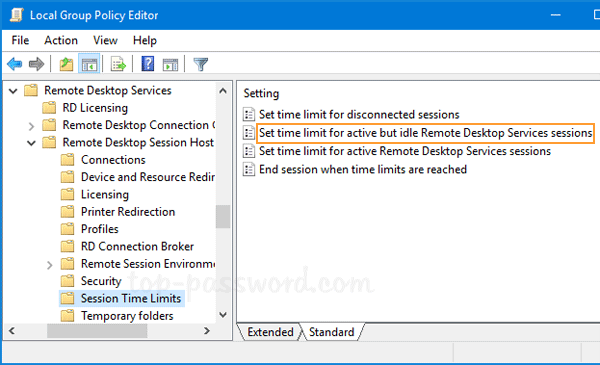 How can I force the server to log off idle RDP session automatically? An idle or inactive session will also consume precious CPU resources and memory. When the number of concurrent connections has reached the limit, your best bet is to kick out idle users. 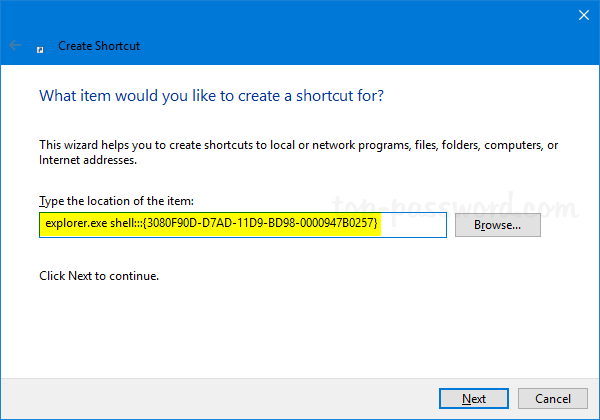 In this tutorial we’ll show you how to use group policy to configure Windows to automatically log off idle remote desktop sessions. 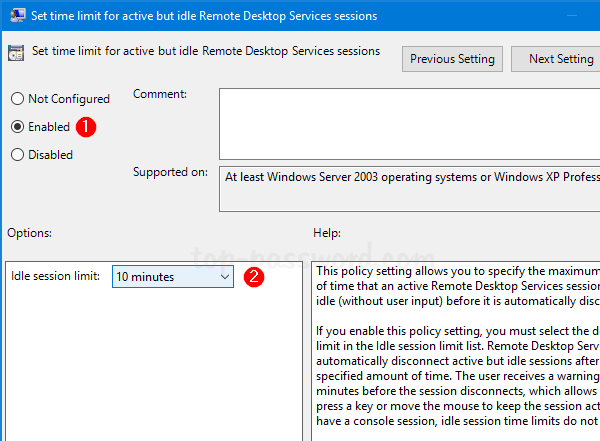 In the right panel, double-click the “Set time limit for active but idle Remote Desktop Services sessions” policy. Change it to Enabled, then set the desired amount of time in the drop-down list right below. Click Apply and then OK. Reboot your computer to put the policy into effect. 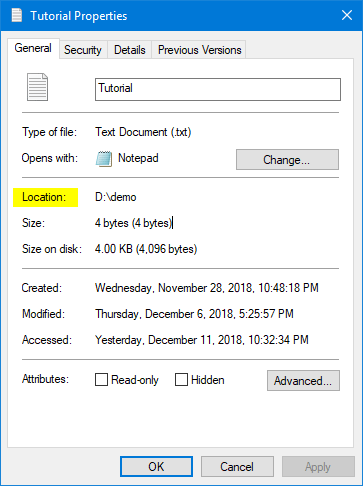 You have the chance to click OK to extend the session. 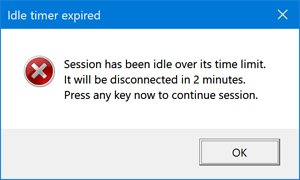 Otherwise, the idle session will log off automatically two minutes later.